Rev. Patric Hutton, USA missionary and vicar of St. Paul’s Church, Kaohsiung 台灣聖公會高雄聖保羅堂 stands outside St. Paul’s Clinic. 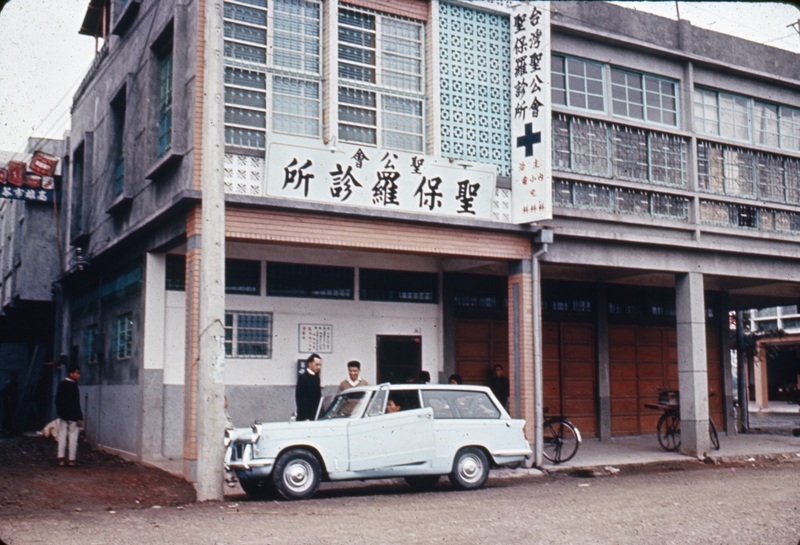 St. Paul’s ran several clinics in rented buildings in the Kaohsiung and Pingtung areas, this was one. They also had mobile clinics. One of the EDUSC projects was to raise money to buy land to build a permanent clinic.